Men’s suit is considered as an essential. No matte what your working environment is, you need to own at least of suit that you could wear on formal occasions. Men’s suits are available in either single or double breasted. The double-breasted jacket was in high fashion in the 30s and up to the 50s. The fashion went out of trend and was replaced by single breasted suits. However we all know that fashion is simply and unending cycle. What used to be out of fashion today can be expected to come back in style in the future. Same thing happened to the double-breasted jacket. They are coming back and people are in rave about them.The style for this jacket is simply an overlapping front lapel with the a couple rows of buttons. 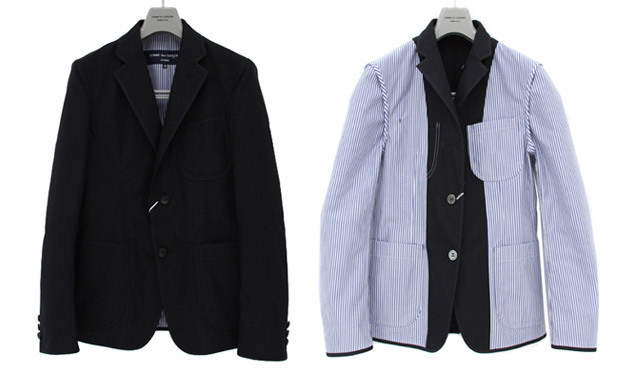 The outer button row is used to fasten both sides of the jacket while the other is simply used as decoration.These jackets are considered as a timeless fashion. And only those who have taste in timeless pieces enjoy wearing them like celebrities, David Beckham and royal prince of England, Prince Charles. Young and business folks like wearing modern and stylish suits, which according to fashion experts, may be a result of their lack in knowledge for these gorgeous pieces or how to sport them. Short men are not encouraged to wear them because they would look even shorter. But then the double breasted jacket complements the built of tall men. The jacket however must be perfectly cut and fit at the waist. The shoulders must be exaggerated to make your body look built, while hiding larger waist. Once the perfect fit is achieved, you would surely stand out of the crowd. Not many can wear this suit because of the complexity of the fitting yet it suits so many celebrities that people wants to mimic the look.Fashion experts claim that double breasted jackets will always look fashionable and will never be out of trend. The fabric choice for these suits is not wool so watch out for that. You might want to consider buying one in navy blue or black color or in pinstripe pattern as this is the most popular choice for businessmen. While selecting a good pair of shoes there are a number of things that need to be looked into. Just the look of the shoe is not important. Of greater importance besides the look, are the fit and the comfort the shoes provide. If the shoes make your feet ache then those are ill fitting and not meant to be worn by you. When your feet ache, it could ripple onto pain in the knees, calves as well as hips. To protect your feet from all such problems you need to wear comfortable shoes and which are branded as well. Don’t just go for a fashionable pair of shoes as they must provide comfort. If these elements are found then you are making the right decision as far as comfort of your feet is concerned. A fine choice would be Hogan shoes which have become very popular all over the globe. You may be having different kinds of shoes in the wardrobe but the shoes from Hogan are unique among all of them considering their appearance and the comfort they provide. Both comfort as well as style can be found in these branded shoes. Since both these factors are present in these shoes you can certainly consider them for your 2011 wardrobe collection. To match your style as well as fashion sense, you need to find a pair or two that can make you very comfortable at any event. Just because particular shoes are branded it does not mean that they have to be very good. There is no point in spending too much of money and then finding out that the shoes are not providing you the comfort you are looking for. Checking a few things like the cushioning of the inside area, the outer surface, the thickness of the sole present helps. And all of this is already present in Hogan shoes – thickness and softness which are very vital. Support provided for the arch by the shoe is also an important factor and the benefit of owning a Hogan. If are not aware of different factors to be checked while shoe shopping, referring to a guide on shoes is always a recommended option. Many of the popular brands in the market have come up with a range of products that are high ended and luxurious as well. Shoes, apparel, sports equipments, hand bags, accessories, cosmetics, etc have been made popular and trendy by these brands. If a particular item is branded, you can take for granted that it is a designer item of high quality and with an identity and attitude of its own. Brand names are mentioned on the products itself and can be recognized by their originality. One branded company headed by Creative Director as well as Vice President Dawn Mello since 1989, has taken the fashion world by storm with efforts that are really painstaking for image maintenance in various products that are truly luxurious. The Gucci Company earlier came up with hand bags and slowly and steadily began production of other branded items as well. Products like their shoes have gained world wide fame where they are being sold at many of the departmental stores at the international level. The company has its outlets all over the world and products have great demand at many at the shopping festivals held internationally too. Products are made from high grade materials, have luxurious appearances and textures, a very high aesthetic appeal, and are of course with fantastic tags because of these qualities. Celebrities, fashion models, film stars, people from the elite sections of society are the ones who are the main customers of these branded products. Flaunting these products makes one a status symbol besides which each accessory enhances your personality. You become a fan of these products right away when you sight them. As far as handbags are concerned, the New Jackie bag from Gucci is a unique design flaunting opulence and extravagance. Everything about this bag is truly iconic in terms of the horse bit made in metal for the bags and zippers that bring in a style that is really radiant. Hardware in gold as well as suede tassels that are decorative adds certain liveliness in the product. Designs introduced by this brand are not only elegant but novel, bold as well as iconic and adored by all age groups. The fashion industry is something that makes so many lives a better one. It is one thing that helps people see the things they can have. It has the ability to make someone feel like the person he or she wants to be. Fashion world is like another world for someone who always wanted to be different. The clothes are like tools on this age when everything seems chaotic. One of the well-known brands in the world is Gucci. Among its any other brands, Gucci is one of the things that can be a dream for someone and having it is something that everyone wants. There is no doubt that this brand is one of the best in the world. Gucci is known for its quality and style. The elegance that it brings is in its maximum level. It provides the highest and superb quality of clothing. Every single item on their collection is never a failure. Gucci shoes, handbags, clothing and accessories are all outstanding when it comes to design and comfort. It never fails to amaze anyone who will see Gucci’s latest collections.Getting them may be somewhat a dream for a person because of its high price. Only a few can have enough money to buy it. However, this is also one of its traits that make it very special. Given a chance to own one is an achievement and a wish come true.Being expensive is not the only thing that excludes Gucci items from other brands. Gucci makes it a point to make all of their collection exude its elegance and sophistication. It is their quality that makes them one of the best. Hollywood stars and top models in the country are just of the few admirers. They are the lucky people who are given the privilege of owning something perfectly made.A great example of something ordinary, which Gucci created to be something exceptional, is their Gucci shoes. A shoe is just a shoe until Gucci made them. Before it is just something you wear to protect your feet but today Gucci transformed its purpose to become a weapon in this war of fashion trends. Men are not fashion conscious. That is what most people think. But it is a wrong impression because men are very keen to detail when it comes to their clothing. Their style is not that broad like as compared to most women however men can be very particular on the things they want. Their clothes and all of its details should be their exact requirement. One example is the v-neck sweater, one for all men. It is the one of the type of apparel, which is very popular for men. Most trendsetters are likely to be seen in this kind of outfit because of its unique style. It is not just a regular sweater you wear. It has a feature that an ordinary round neck sweater doesn’t have.A small detail like the neck shape provides a huge difference and men appreciated it. It enhances a lot of their features without being too much. Men like to wear those types of clothing that will also boost their image.Masculinity is their main focus on their attire. It should make them stand out but not to the extent that manliness is lessen. When it comes to style, the simplest is what they prefer. Men like everything toned down. This is also one of the reasons why V-neck shirts or sweater became popular. It is simple yet classy.V-neck sweater is also very flexible in terms of different styles. It can be worn with anything. Men can mix and match using only one sweater. It can be worn alone but it is also great if paired with something. You can match it with a round neck shirt under it or you can also pair it a collared shirt. The choices are endless and the style differs a lot.Men’s wear only varies in shirts, sweaters and pants. It is the style that makes it different. This is why the details, on one apparel are essential for them. It is what excludes them from others. Although only some may admit but it is a fact that men are also enthusiastic in fashion. This is also why a V-neck is a necessity and the best one for all men. Different kinds of shoes are available for women, of which pump shoes are the real classic ones of the entire lot. As far as women’s shoes are concerned they are the most popular and comfortable. Defining them can be a difficult process as well however their basic structure is defined with fronts flaunting cuts that are very low, and the back of pump shoes which are closed. The front areas of the shoes fit the toes more closely as compared to other footwear. Vamp of the shoe is seamless and does not have ties, buckles, laces or straps, but you should certainly not miss straps like the Mary Jane, the ankle and the t-strap when given the chance to customize. Heels can be of varying heights, while the open toes can be square, almond-shaped, round, and peep, pointy or open and according to your choice, pick the classic pump shoe in extravagant or simple taste. The pump shoe is also referred to as pompes which the men wore originally, but these shoes did not have heels basically. In the recent times, pump shoes are women’s most preferred shoes. If you are looking for a shoe that is truly retro as well as classic in style then this one is the best to consider. A few years back they were considered items of the couture racks, which were extremely popular and flaunted patent leather in two tones. Tan and black, white as well as blue were popular colors. The classic pump comes in a range of styles and colors today and is considered not only casual, but dressy as well. Height of the heels comes in different ranges and with the different kinds of toe patterns and all of them will allow you to flaunt a fashionable look. Whether you want to wear them for a casual or formal occasion they prove to be most suitable. A lot of people used prefer the black version only but now since they are available in various colors, women can be seen wearing them on a wide range of outfits to just about any event. Depending upon the need of the suitcase accordingly you can decide the budget, size and style. A number of situations will have to be encountered by the suitcase while it is used in transit. Designer suitcases do not come cheap and hence you need to follow a few tips before you make the final purchase. Your clothing needs to be best protected by the kind of suitcase you buy. It should maintain the contents held within, especially the clothing in the best possible manner. If it is not a good quality suitcase, you could end up with clothes getting wrinkled instead of them being carried in impeccable condition for that presentation you have to make on arrival. Price of the suitcase will also indicate the quality. Fake pieces are also available in the market which you need to be aware of, and they come at lower prices. Avoid getting attracted to the lower cost of the bag and instead consider the brand or genuineness of the product. There is no harm spending some extra money to get the best of suitcase of your choice. Since suitcases are items, that are purchased only sometimes, ensure you buy a highly durable piece as this can last you a life time. Suitcases will not be needed all the time, except when you are traveling long distances to carry all your essentials. Even if you don’t use it frequently and it has to be stored away, and it should retain its durability and uniqueness which exist at the time of purchase. 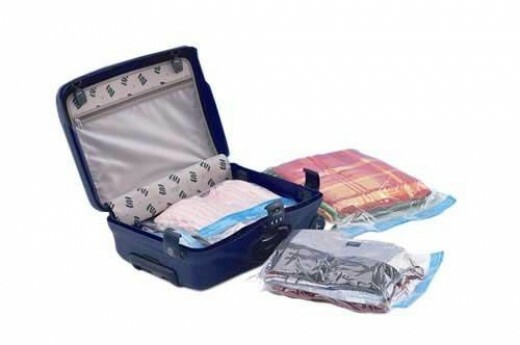 Soft as well as hard suitcases are available to suit different customer needs. Less expensive ones are also available but you need to know where they are conveniently available and stores where ‘cheap’ does not translate to ‘poor quality’, rather pricing. Just because it is a soft suitcase it does not mean it has to be cheaper. Checking out the sturdiness of the suitcase is very essential. If you do not know much about suitcases you could take someone along with you who knows a great deal about them. Shape of the suitcase can be retained depending upon the type of material used in its making, which means that stiffer the material, more durable the product will be. Caution is needed while wearing boots. If you want to feel on top of the world it is a pair of well fitting shoes that you need to flaunt. Wearing the wrong pair of shoes with an outfit, a pair that is not at all appropriate, can be a complete disaster. The first thing is that ill fitting shoes will make you feel let down completely and people will look at you weirdly for sure. Glances given by them can be so obvious that you would want to run and hide because you were not able to select good fitting ankle boots. As compared to boots that are knee high the ankle boots are different. The best thing about summer ankle boots is that they can be teemed up with any outfit desired. To protect your feet from dust becomes necessary. Your feet are an important part of your body and need protection. You need to understand well about the right kind of outfit that will suit you and the functionality and features of ankle boots. These ankle boots can serve dual purpose – they can be best used in summer and winter as well! Finding out the different kinds of materials, designs and patterns they are available in will help in making the final decision. Matching them with the right kind of outfits is important as only then will they conjure the desired impact you are looking for. Prices of these ankle boots will vary depending upon the materials and designs used. Even if they come in a variety of materials, you can definitely strike an affordable bargain, especially online. Purchase only those summer ankle boots which suit you the best and for this you can try them in the shoe shop itself or when they arrive from an online source that offers you an exchange offer. There are some people who make spontaneous purchases and later do not wear the purchased boots. Sequins and some of the best patterns are used in their making. Choose patterns that are chic for formal occasions. To bag a fancy appearance, wearing them with a pair of ‘skinny’ jeans is a great idea. Traveling is an event that most people look forward to. For first time travelers or for those who does it a lot, going to other places is very exciting. The thrilling part does not start at the time of your departure but during packing your luggage. This is the time where you will be visualizing the trip ahead and the things you may do. Packing your things is really fun but you also need to so it right. You need to know the best way to pack your luggage to prevent future problems. Given that you already know your destination. You need to think of your future activities that you may likely do. If its business then you may need clothes that are suitable for business gatherings. If you are traveling for a vacation then your most comfortable clothes is advisable. Knowing the weather that may welcome you is vital. You don’t want to bring a huge luggage full of winter clothing in a hot place. It is something that you must avoid. If you don’t have an idea of the weather then you may search on line. Check the latest weather report if you have to and see if there is future weather changes coming up. Since you already have an idea of your future activities as well as the weather then you can now start selecting your clothes. It you don’t want to bring a huge trunk of luggage then you need to pack sensibly. Select the type of clothes, which you can mix and match. Stay out of the clothes that you need to pair with a specific color or particular attire. Choose the basic colors that may go with one another. Right after you have all of the things you need then you may now begin putting your things inside your luggage. One trick is to roll your clothes into a tube before you organize it in your luggage. This is the best way to pack your luggage because of the space you’ll save for your other stuffs. Seal your luggage and you’re ready to go.